I consider myself to be a versatile and adaptable sound and lighting technician, with a wide range of experience, skills and knowledge, which I strive to expand whenever possible. Sound Design, Operation and production engineer. Regular work as No1 and No2 sound, mixing shows, running radiomics and leading fit ups as production sound engineer. Experienced in conference and theatre sound operation. AV setup and operation using Qlab. Lighting design, programming and operation. Andy Batty, Production Manager, UK productions. 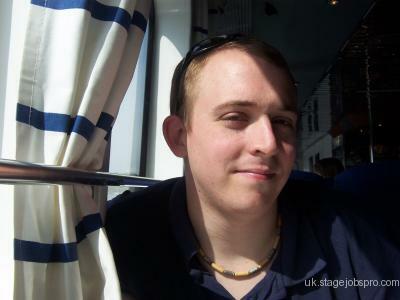 Felix Davies, Production Manager, English Touring Theatre. Gary Giles, Production Sound Engineer. Musician - Clarinet, Saxophone, Guitar/bass, Keyboard. Music/score read.